NOW ACCEPTING SPRING/SUMMER FURNITURE & DECOR! Has Spring come early this year?! 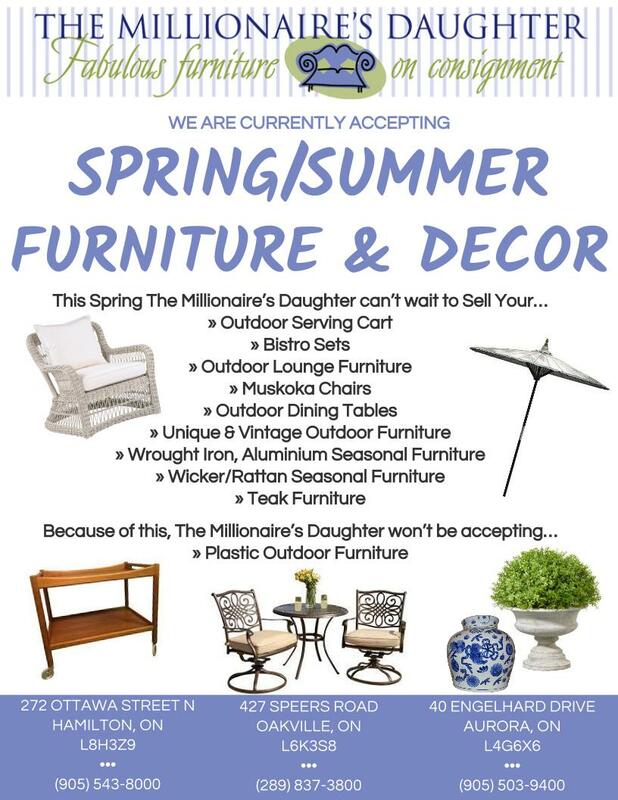 It could just be wishful thinking but we are now accepting Spring furniture and decor consignments at The Millionaire’s Daughter.